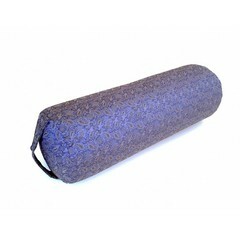 A yoga bolster guarantees comfort and support during your yoga session. Anyone who has ever used a yoga bolster knows the advantages of these support cushions. Yoga bolsters provide support to the body in different yoga poses. A yoga bolster helps you to relax or stretch in a certain posture. The cushions are filled with organic buckwheat hull. There is an inner cover in the outer cover. Both covers are provided with a zipper. 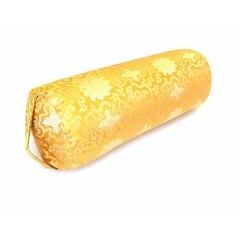 Our yoga and meditation cushions are handcrafted in India in an honest and durable manner and are of excellent quality.